Complete our one page application form. When you submit the form you will receive an email asking you to confirm your email address. Please click on the link in the email to ensure that we have recorded your correct details. Depending on which payment option you chose, you will then be invited to complete your purchase. Thats it! The easiest way to pay for your membership is either by setting up a direct debit or paying by credit or debit card. These payments are processed securly online giving you instant access to our online community and enhanced website content. 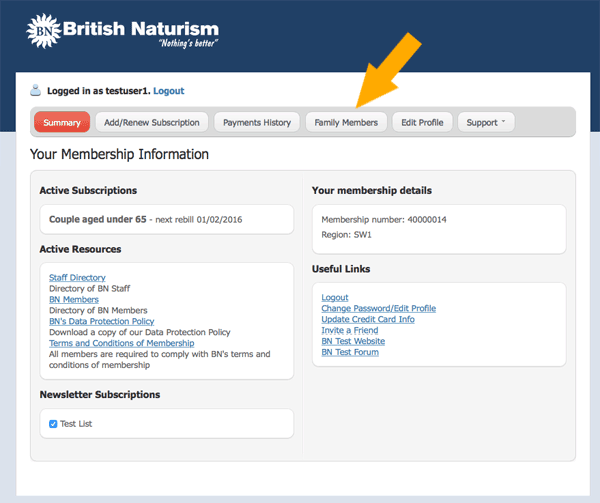 Alternatively you can select one of our off-line payment methods and then either telephone the BN office with your card details or send us a cheque by post. Our range of couples memberships offer a significant discount over the equivalent individual memberships and have the added bonus of allowing both memberships to be managed through a single annual payment. Couple memberships are available to two people living at the same address. You will each receive an individual membership card and each have your own account on our website community, but will only receive one magazine and other mailings. The first step is to purchase a couples membership package. Please follow the steps above for an individual membership, but make sure to select one of the 'couple' membership packages. You can select the package that corresponds to the higher of your two ages - for example if one of you is aged 63 and the other 67, you can select the 'couples aged 65 - 79' package. At this stage you will be asked to enter the details of the first person on the membership form. We will add the partner details below. 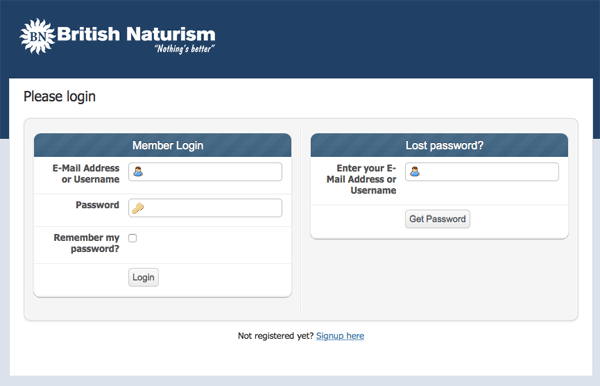 Once you have purchased a couples membership you will be invited to login to your new account. Step 3: Create your partner's account. 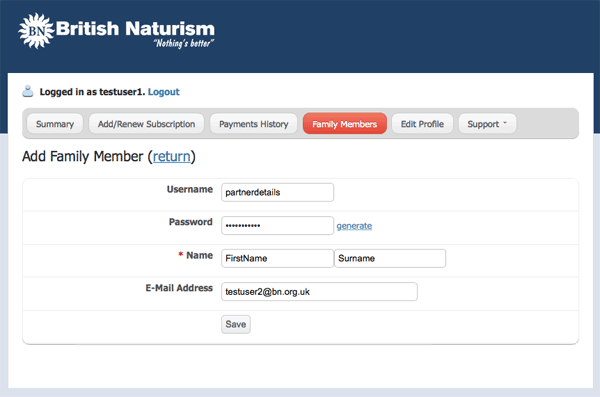 ... and then you will be able to add your partner's details. Once you have created your partner's account he/she can then login to their own account and enter their personal details. Having one of our couple memberships is not only good value for money but it enables you to manage your memberships through a single payment whilst having the freedom and flexibility of having your own online accounts and separate access to our oline community. Membership Helpline: If you get stuck or just want to speak to a real person then the BN office is open from 9.00am to 3.00pm on Mondays to Fridays - Tel: 01604 620361.